Signature Millwork is a company architects, general contractors, designers and owners have depended on for over 25 years. We place a high value on trust and communication between individuals inside and outside of our company and believe this be a fundamental to the attainment of both business personal goals. Additionally our craftsmanship, locally sourced materials utilized at our Dallas based production facility and on site finish capabilities facilitate our success in reaching the ultimate goal-on time project delivery. Clean lines, narrow reveals, engineered features, natural and diverse finishes are our trademark. Homeowners can attain millwork locally that is superior to European imports. 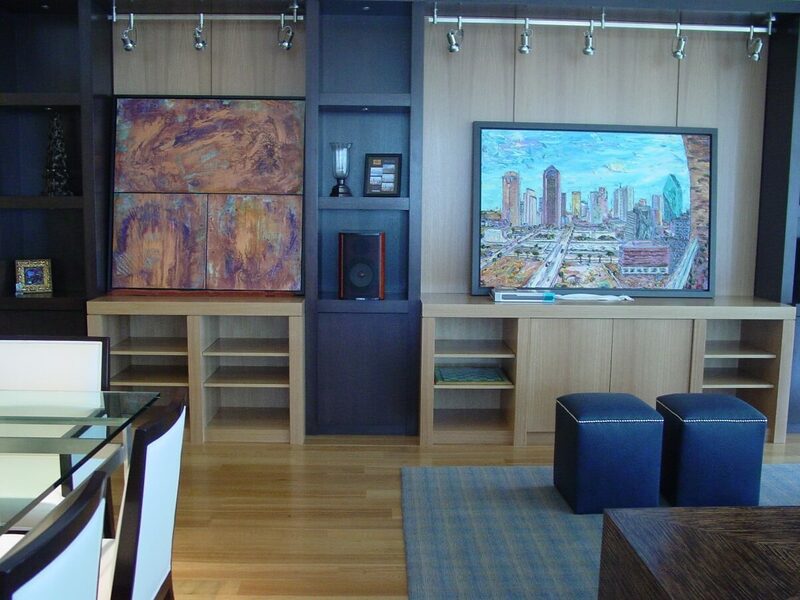 Our residential portfolio includes cabinets, built ins, wood paneled walls, ceilings, casework, custom furniture and media rooms. If you dream it, we can build it!